We were fortunate this week to host artist Michele Usibelli for this year’s Sonoma Plein Air Festival. She painted our neighbor’s barn with our vines in the foreground. We loved having her and bought one of her paintings today at the festival (before the rain came). Our two boxes of bees arrived on May 9th. 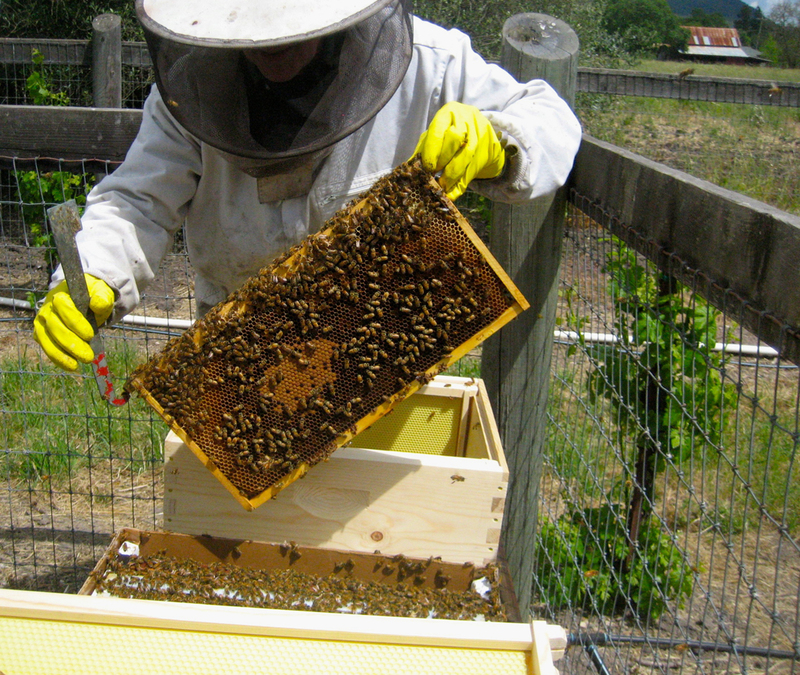 We won’t be collecting any honey this year, but next year — we should have 50 to 100 pounds.